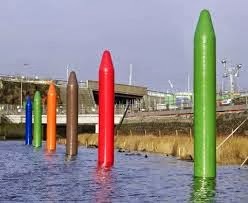 But to return to the subject in hand (bacofoil), giant crayons have never bothered me unduly. Indeed, they can be immensely useful, particularly if you have a giant unfinished drawing hanging about. I hope the matter can now be laid to rest, giant crayon fans.